EPDM Roof systems are mostly described as “black rubber”. There’s much more to these roof systems, however. 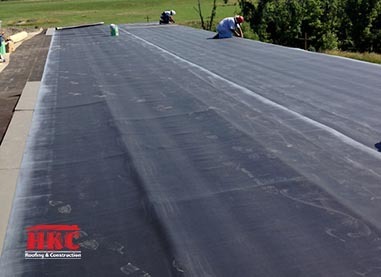 This single-ply membrane is based on a high-performance synthetic rubber compound that provides incredible weathering characteristics in climates worldwide. The versatile membrane offers a variety of installation options including fully adhered, ballasted, or mechanically attached that provided superior long-term weatherability and exceptional wind uplift resistance. The EPDM system is a great choice for the Midwest climate and will last for many years when installed correcty. 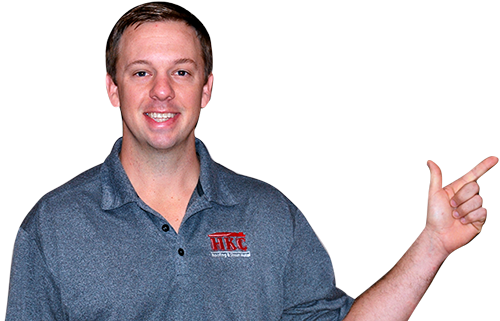 Did you know HKC is certified by many of the major manufacturers of commercial roofing products? 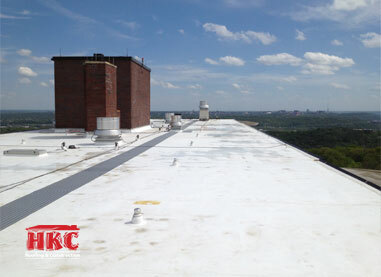 TPO Roof systems are among the fastest growing commercial roofing products. They are commonly known as “white roofs”. While the color white is the standard, they are available in several other colors such as tan, grey, green, blue and red. As demand increases for heat-reflective and energy efficient roofing systems, TPO single-ply roofing membranes continue to provide exceptional resistance to ultraviolet, ozone, and chemical exposure. PVC Roof systems like TPO, are also white in color and offer exceptional UV resistance. 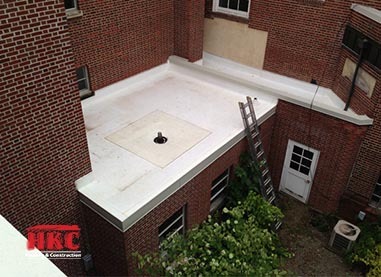 PVC membranes have plasticizers added in order to make the membrane flexible for roofing application. This flexibility allows the membrane to stand up to the toughest weather conditions and provides long-term performance. PVC membranes have a remarkable ability to chemical resistance. It’s common for commercial roofs to come in contact with animal fats from restaurants and oils from rooftop mechanical equipment. PVC outperforms the single-ply competition in this category.